My best friend’s annual cider party was taking place on Sunday afternoon. All week she’d been cooking and preparing for it. There would be five fabulous Finger Lakes Feasting soups. 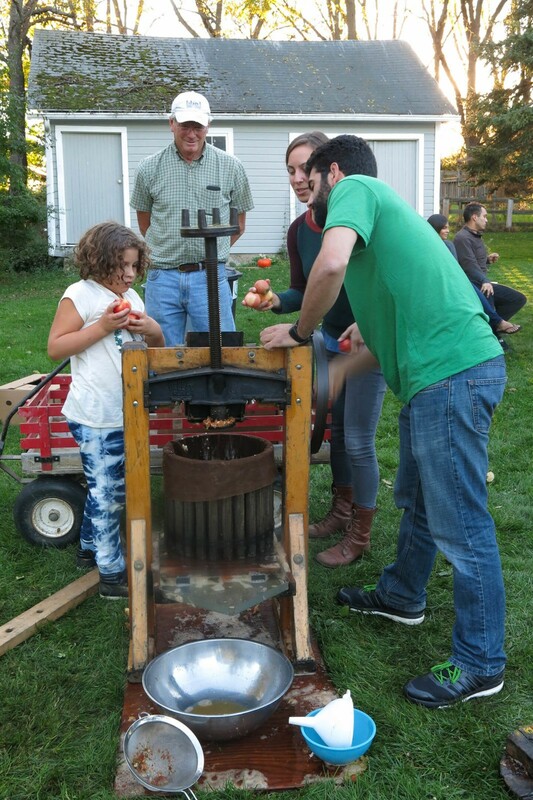 There would be cheeses, homemade cookies, and lots of apples to hand- press into cider. This was an event my children and I always looked forward to each October. Indeed, my grown son would be showing up for it this year. So a part of me really wanted to be there. But I hate parties. I’m not good at small talk. Going alone to a party takes more courage than I can usually muster. And I never know who or what I’ll meet up with that could trigger an unattractive emotional meltdown. A thousand reasons have stopped me from attending joyous events in the past. I’ll go for a short while, just to make an appearance, I told myself this time. Pretend you’re the maid. If you can’t be sociable, be helpful. Serve food or wash dishes. A really brilliant idea is to bring something that needs to be cut up or prepared, so you can be there busy, with a purpose. Hang out by the food and reward yourself for showing up. Since it may be the last party you ever go to, you might as well enjoy the fixings. Walk around pretending you’re looking for someone. Find another shy, solo guest and ask if he’s got any pets. Take the resident dog for a walk around the block. Check the messages on your cellphone and then, in a not-too-inconspicuous corner, in a posture that conveys cool indifference to the surrounding scene, make your weekly call to your mother. Pretend you’ve been hired to take photographs. At the party on Sunday, by the time I did everything on this list, I’d overeaten, used up the battery on my camera, and hit my head on the cider press in the process of being helpful. But I ended up staying for the after-party, which is really the best part of any party anyway, when only the family and closest friends sit back with full bellies around a campfire, gaze at the stars, and tell stories about animal encounters and food. Got any other ideas? Please share. This entry was posted in 2015 and tagged 6 Helpful Tips for Surviving a Party, after-party, anxious about attending a party, apple cider pressing, how to survive a party alone, I hate parties on 2015/10/12 by Robin Botie.